Both the front and rear lights have been revised, along with a new front bumper, new foglights, a new grille. Chrome side molding has also been added. The new-look Lexus side mirrors with integrated turn signals have been added. The standard 17” alloy wheels now have a split five-spoke design. There are four new colors available: Truffle Mica, Peridot Mica, Satin Cashmere Metallic and Cerulean Blue Metallic will replace Moon Shell Mica, Amber Pearl, Aquamarine Pearl, Black Sapphire Pearl and Golden Almond Metallic. Inside, the steering wheel controls have been revised and there is now new wood trim placed in the center console and glovebox. The armrest has been changed to provide easier access and more room. Rear seat side airbags have been added, bringing the total to ten airbags throughout the vehicle. Standard leather-trimmed seating is available in three colors including Parchment which replaces Cashmere. New Brown Walnut wood trim replaces Medium Brown Walnut, while the ES adds Espresso Bird’s Eye Maple trim. The ES will receive an updated Lexus sound system, and will be available with the upgraded 6th generation navigation system, along with iPod integration and Safety Connect & Lexus Enform telematics. 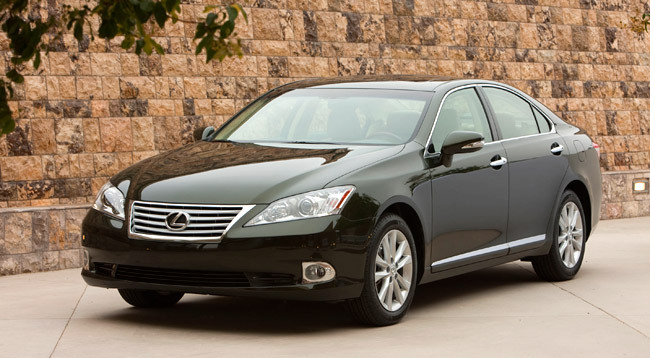 The 2010 Lexus ES 350 will start at $34,800 which represents an increase of $330 or 0.9% over the 2009 model.